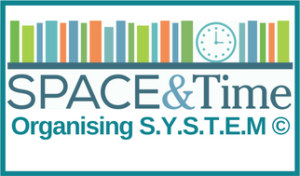 Organise, Declutter and Store almost anything using the Space and Time Organising S.Y.S.T.E.M (see an outline here). Created by Julie Cliff, The Space and Time Organising S.Y. S.T.E.M © can be used to sort, organise and store all aspects of the space and time in your life such as the kids toys, your desk, your paperwork, your pantry or even your daily schedule. I truly believe that being organised with your time and your stuff can lead to a happier and better life and this S.Y.S.T.E.M © is a great tool to get you on your way. Are you drowning in clutter and stuff or simply need help getting organised? This workshop will help give you some great tools to create a life that you love.